Keeping a backup of the data on your computer can sound like a lot of work, but it doesn’t have to be, and it’s important. Recovering your documents after a hard drive crash can cost thousands of dollars. The sad truth about computers is that almost all of them use a traditional hard drive to store data. This device acts like a filing cabinet for every file that you save on your computer but most of them eventually die. This is a common reality. Some of them last only a few months, and others last years. Some computer owners get lucky and manage to buy a new computer before the hard drive in their old computer dies. Besides a simple Hard Drive failure, lots of outside reasons can cause data loss as well. You could get a destructive virus, drop or damage your computer, or even lose it while traveling. This means all of your digital family pictures, your work files, your music library; everything that you depend on your computer for can be lost. The good news is – that now that you know this – you can avoid this risk. All you have to do is make a backup. If you have a Mac, backups are very easy. Apple has built a very effective backup function right into your computer called Time Machine. 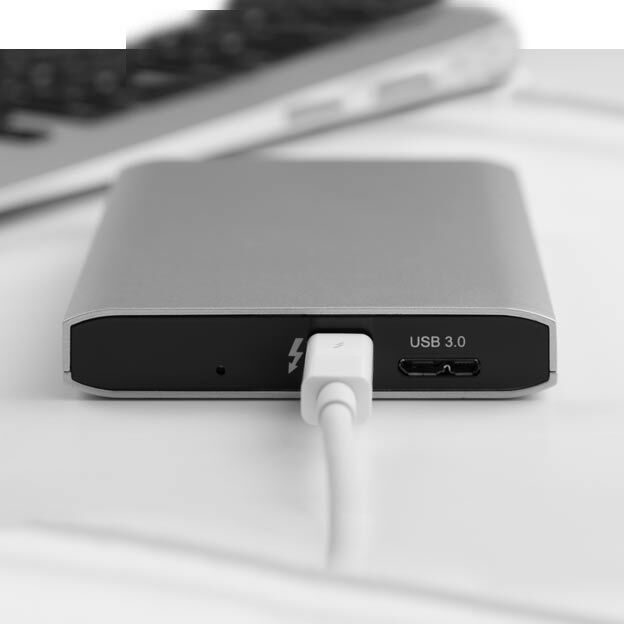 All you need to do is purchase an external hard drive or Apple’s wireless external hard drive (called a Time Capsule) and connect this device to your Mac. Your computer will pretty much do the rest. If you have a PC, you can achieve a similar solution by using the built in software called Backup and Restore. This method is almost as easy to set up and backup as the Mac, but when it comes to putting your data back where it belongs, it can be a little more complicated. Don’t worry though, if you lose everything, the difference between spending an hour or a few days getting things back where they belong won’t be nearly as important as the money and memories that you just saved. While the methods above will be useful and cost effective to most, there are two alternatives that you may want to consider. These alternatives work best for people that do not have large amounts of data to back up. This doesn’t mean quantity of files, but rather not many files of considerable size. You may be surprised to learn that 1000 word and excel documents rarely take up as much space as a single music album or a weekend of family photos. If your computer is mostly used for word and excel documents, maybe a few family occasions of photos you can save yourself some trouble and money by choosing an online backup solution or a USB thumb-drive. SanDisk makes great thumb-drives that come with backup software. (Be sure to check the packaging.) These are great because they can fit in your pocket, and they don’t cost as much or take up as much space as an external Hard Drive. They’re also more durable and won’t break if they are dropped like a Hard Drive. Configuration of an online backup provider like BackBlaze.com is easy and often relatively inexpensive. After signing up on their website, they will offer you an installation download and backups will occur automatically. As with any computer purchase there are a few more details involved with choosing the right device but as long as you ask a few simple questions while shopping or ask your technician, you’ll find the work that is required to have a regular back up is really not as hard or expensive as it sounds. When that hard drive in your computer does die, you’ll be able to smile and rest easily knowing that you protected yourself against one of the most expensive and troubling computer pitfalls. ©2019 MyTechGuy. All Rights Reserved.